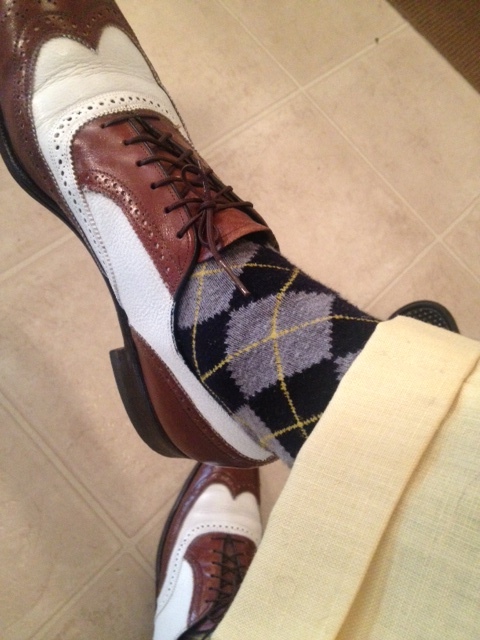 Argyle socks are by Brooks Brothers. 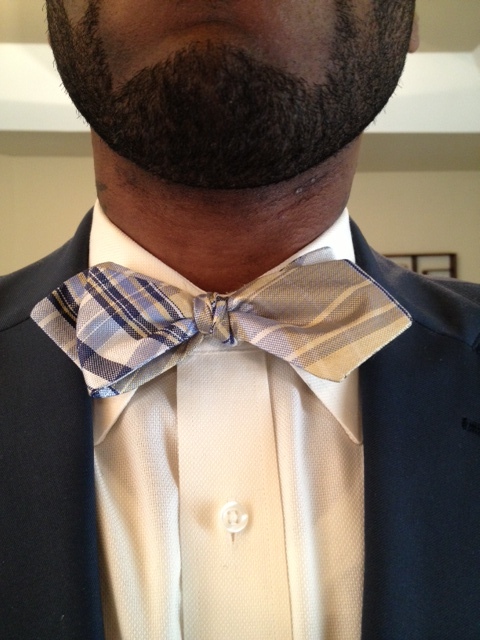 Plaid diamond tip bow tie is by IZOD. 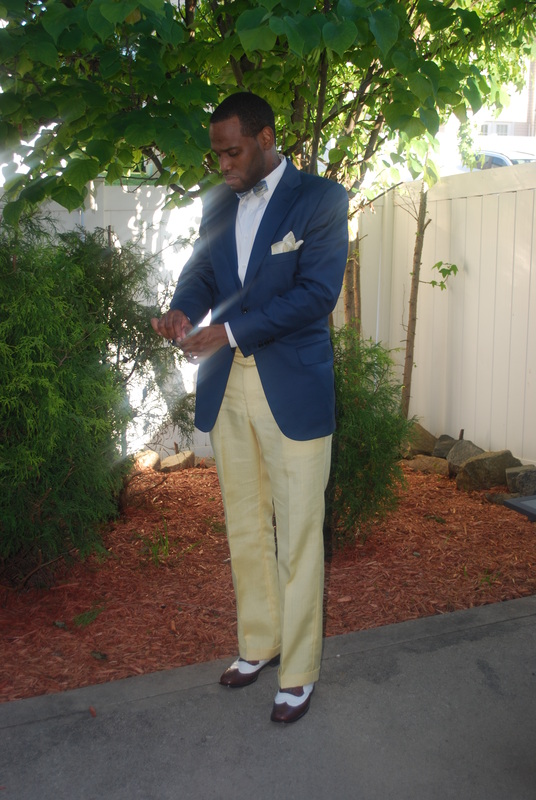 Cream dress shirt with spread collar is by Saks Fifth Avenue. 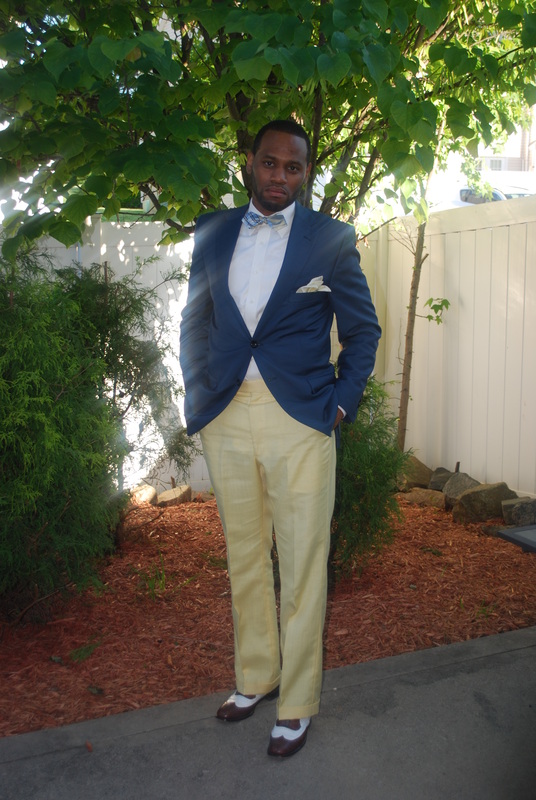 Blue sport coat with notch lapels, side vents, two button closure, flap pockets, and partial interior lining is a thrifting find. 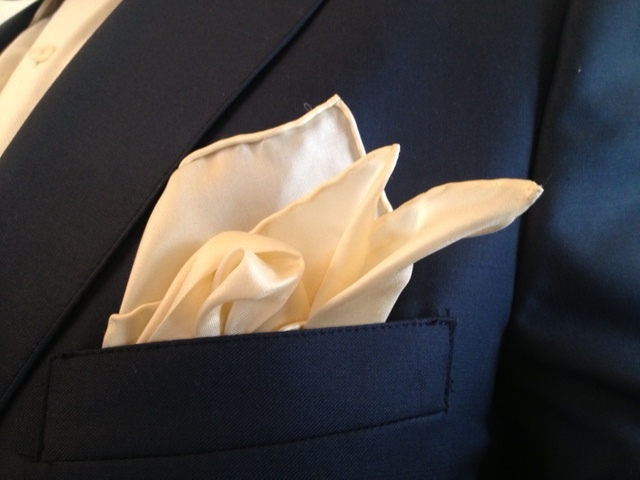 Silk cream pocket square…origin unknown. 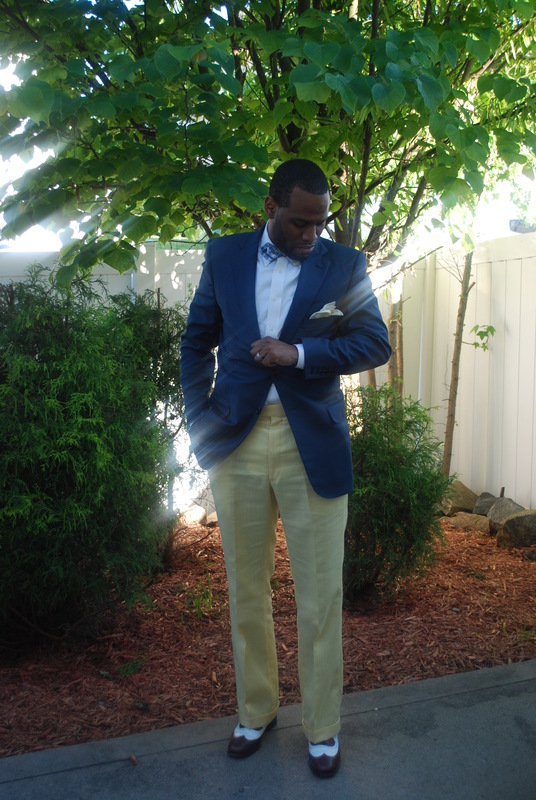 Canary Yellow linen trousers are from Hong Kong Vintage Clothing. 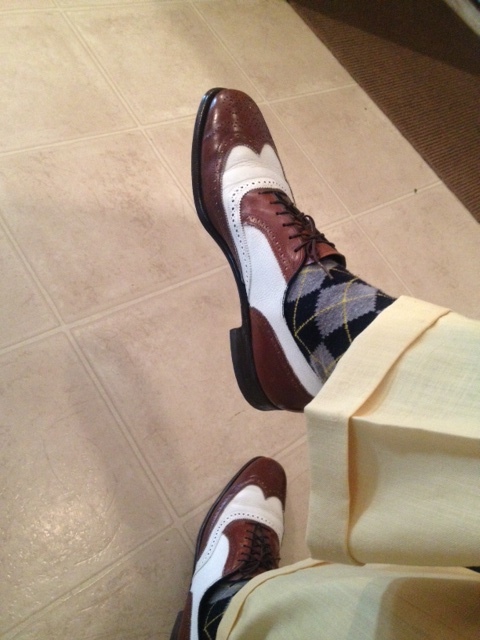 This entry was posted in Uncategorized and tagged brooks brothers, Brooks Brothers Argyle socks, Charlotte Style, Cream dress shirt, cream silk pocket square, Hong Kong Vintage Clothing, IZOD, IZOD plaid bow tie, NC Style, plaid diamond tip bow tie, Saks Fifth Avenue, Saks Fifth Avenue Dress shirt, spectator shoes, two tone spectator wingtips, Wilbur Dow by wilburdow. Bookmark the permalink.